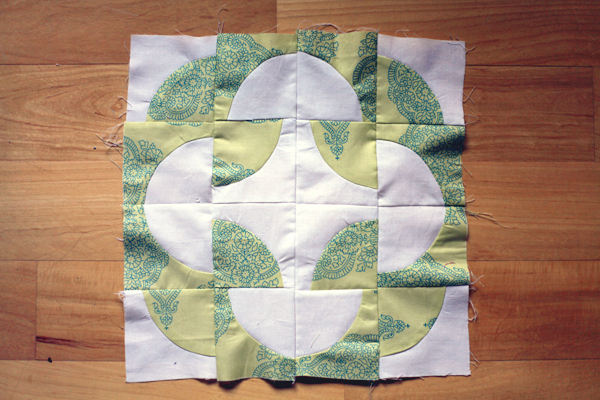 Regardless, let’s get on to the new quilt squares! 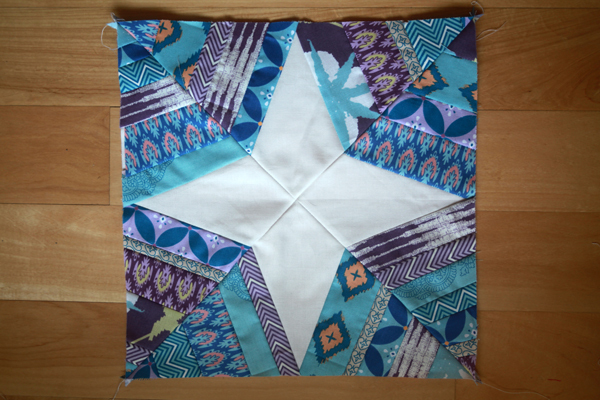 …and then we made a double star block. 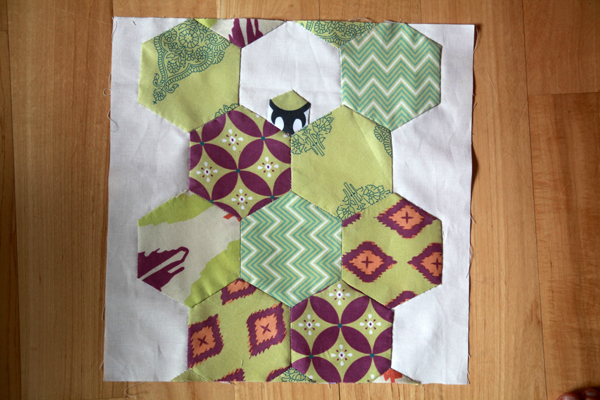 …and then we made a Cleopatra’s puzzle block. 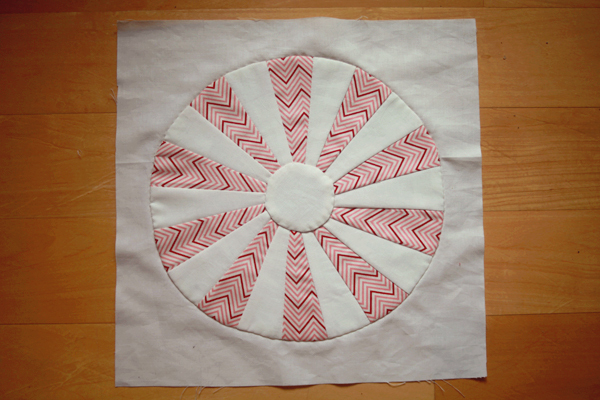 …and then we made a circle of geese block. And, that’s it! 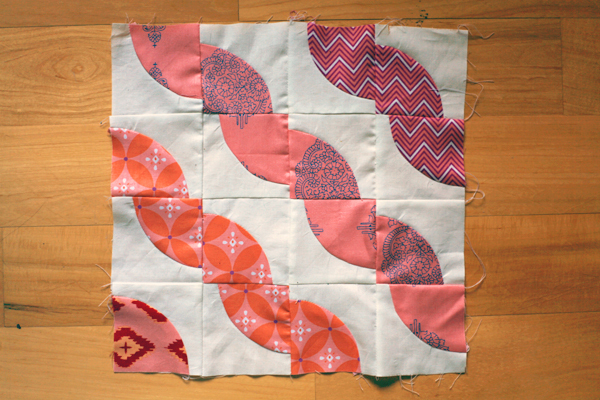 All twenty blocks are now finished! The other fourteen are below in the order that they were made. I wrote about making them here, here, and here. 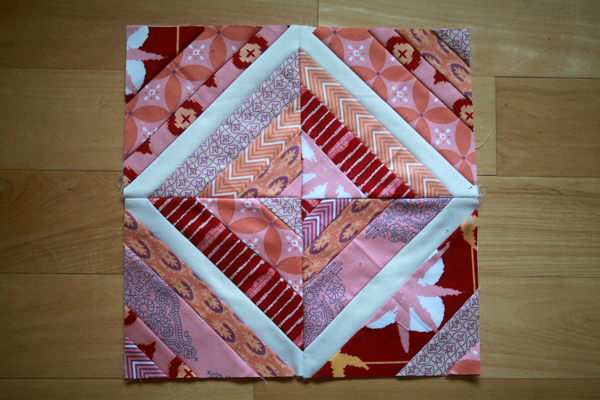 I was going for a semi-diagonal-rainbow-order layout with no two squares from the same class sharing a side with each other. 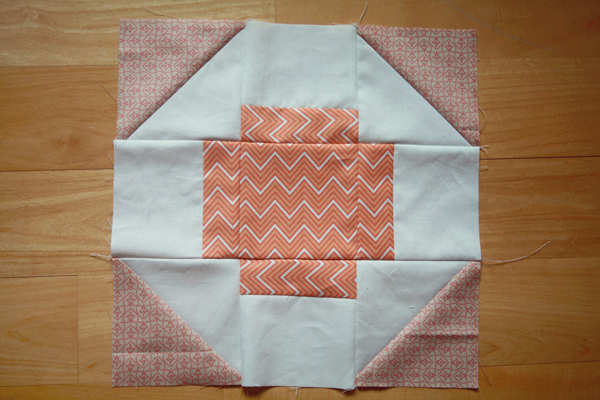 I like it, but we shall see if things change once I start working with the actual squares. 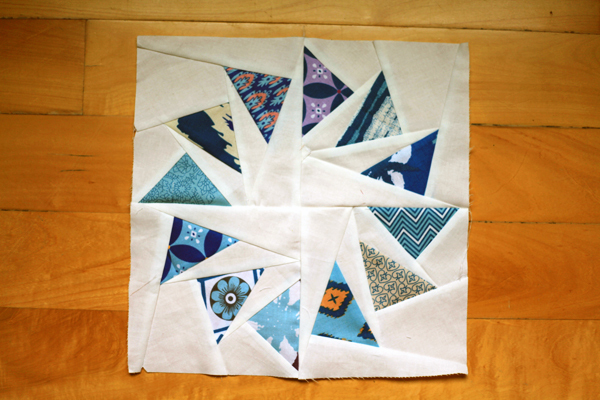 As with the paper piecing and many of the other squares I’ve made for this class, I hope the next steps also prove to be easier than I currently imagine them to be! 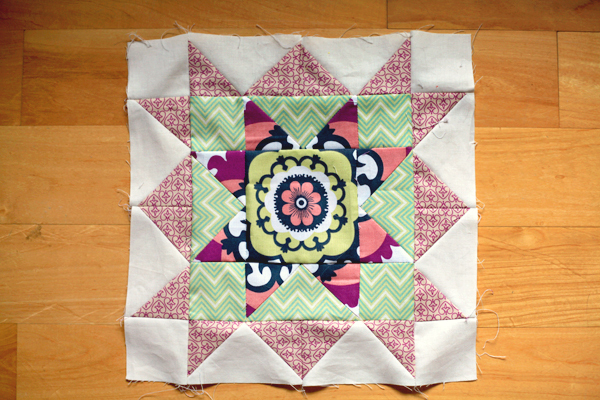 Also, Craftsy recently announced their 2014 Craftsy Block Of The Month class. It’s free, just like the 2012 class and 2013 class, so I signed up. 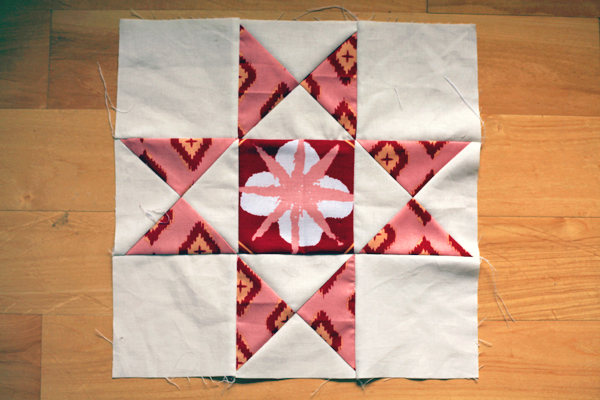 I won’t have time to start on it just yet (or likely any time this year, honestly, since I already have two other quilts in mind that I want to make first! 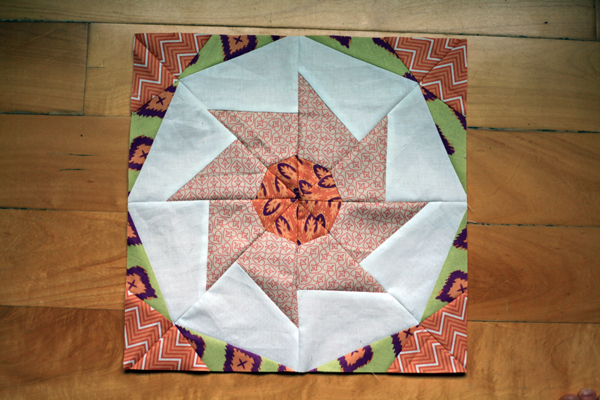 ), but if any of you have been bit by the quilting bug, getting started now means you’ll actually be sewing along with a whole slew of other quilters. I think that sounds like fun! I love the colors. It will be beautiful when it is completed. 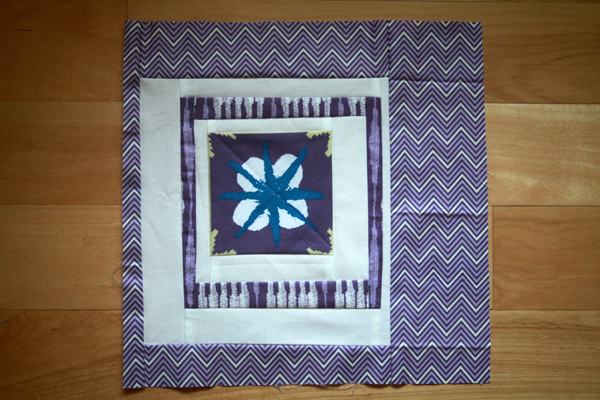 It looks like you learned quite a bit from the class.This is the stage I stopped on the one quilt I made when I was pregnant with my second daughter who is now almost 15. I ended up finally finishing it for my niece a few years back. It will eventually be completed and listen to your body and rest. The class is tempting but I feel I should complete my UFOs before taking on anything new. It looks great! 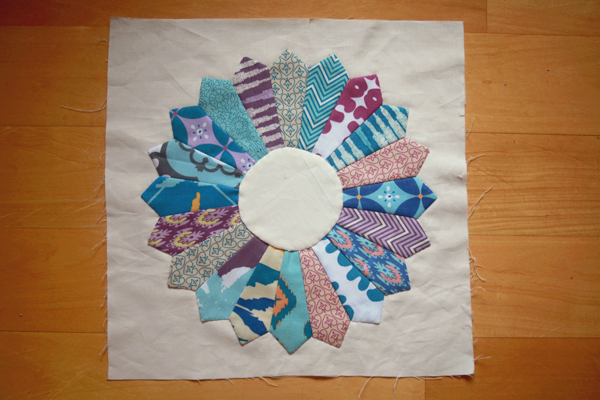 I’m really enjoying the block of the month classes – such a great way to break up garment sewing and mix things up a bit! 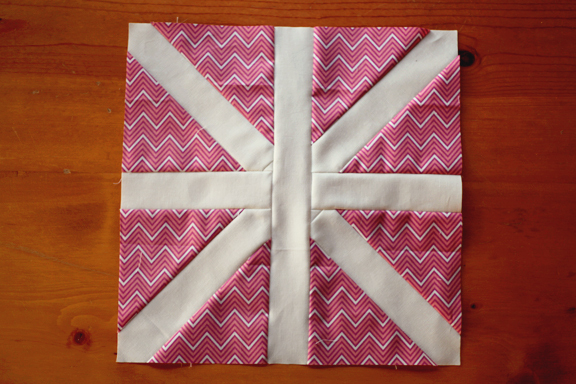 Looking forward to seeing your finished quilt! Wow! These are so pretty! 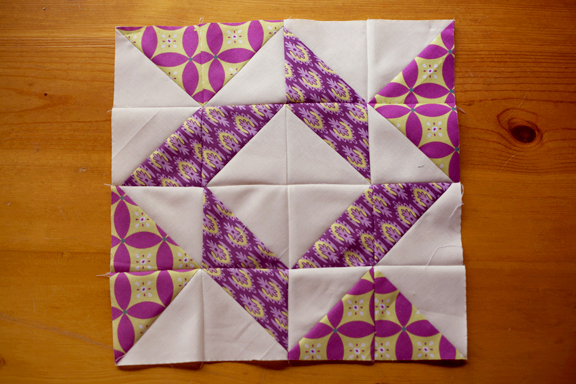 I particularly like the chain pattern– gorgeous! This looks so pretty. 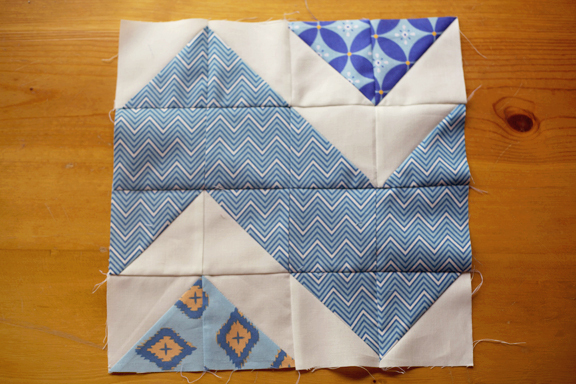 What is it about piecing blocks that is so relaxing? Dang, you beat me! Looks lovely! As I’ve said, love your fabric choice (way more than mine). 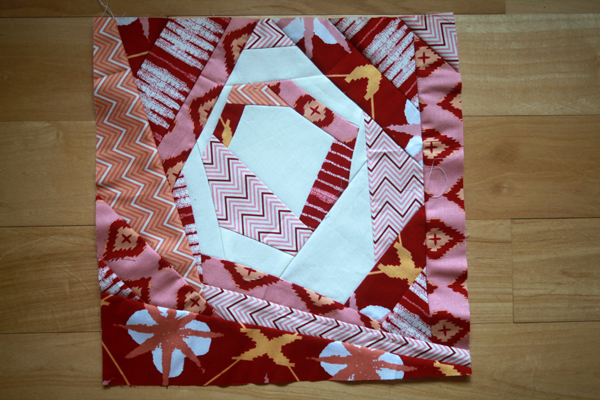 Looking forward to seeing the assembled quilt. There was a long while there that I was convinced you’d finish first. The little one gave me that last but of memo rum I needed! Fun! 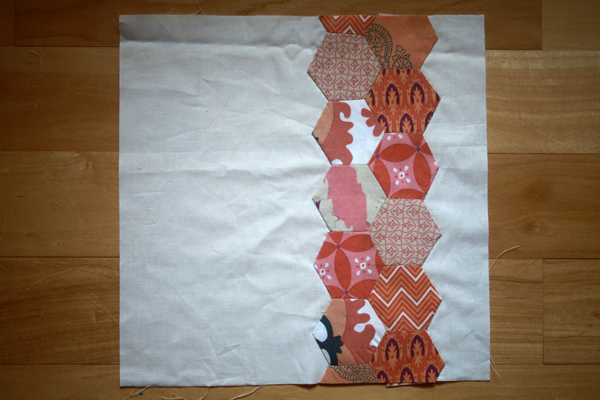 Will you insert strips or alternate blocks between the ones you’ve made or piece them side by side? 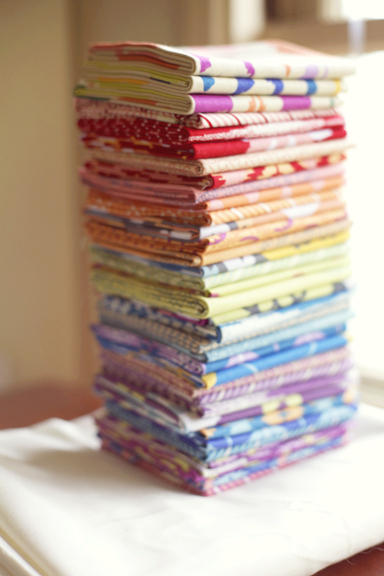 Most of the finished 2012 BOM quilts I’ve seen online have had strips between the blocks. 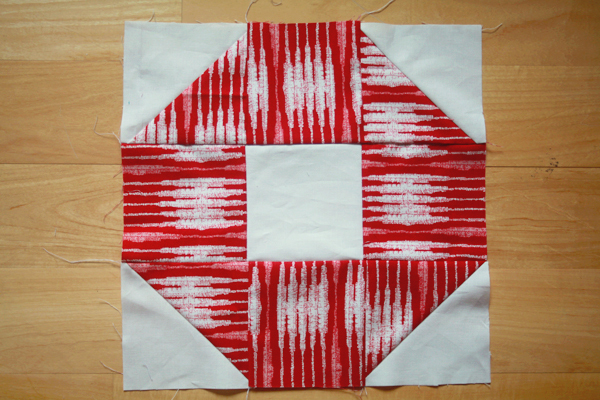 I like the look and have plenty of the Kona Snow left over to make white strips. 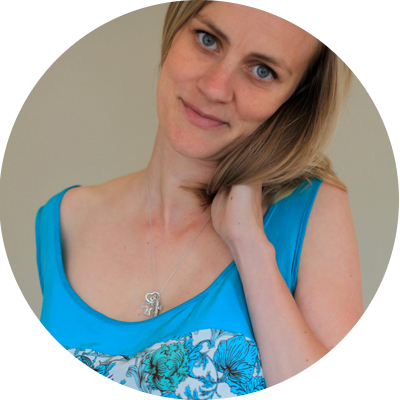 I haven’t watched the classes yet to figure out what Amy Gibson actually recommends though! I really like that idea! 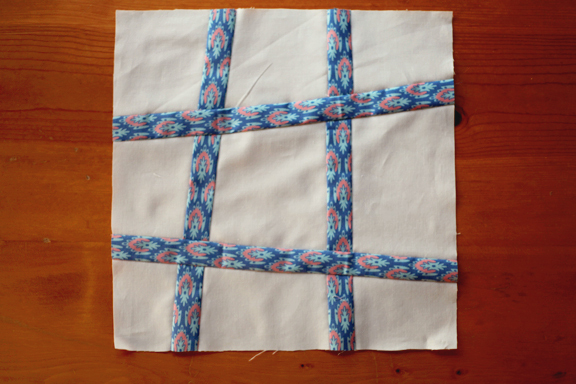 A sewing community quilt!